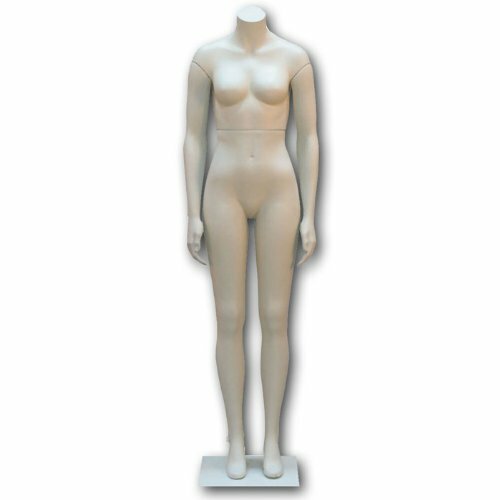 Female Headless, w/ Straight Legs and Arms. EC-PEF-AMW - Female Headless, w/ Straight Legs and Arms.Female Headless, w/ Straight Legs and Arms. Includes white metal base. "Unbreakables" are the newest trend in mannequin design. Meant to lower the retailer's cost, it reduces damage and is easy to dress. Very low maintenance for those retailers with a limited visual merchandising budget.